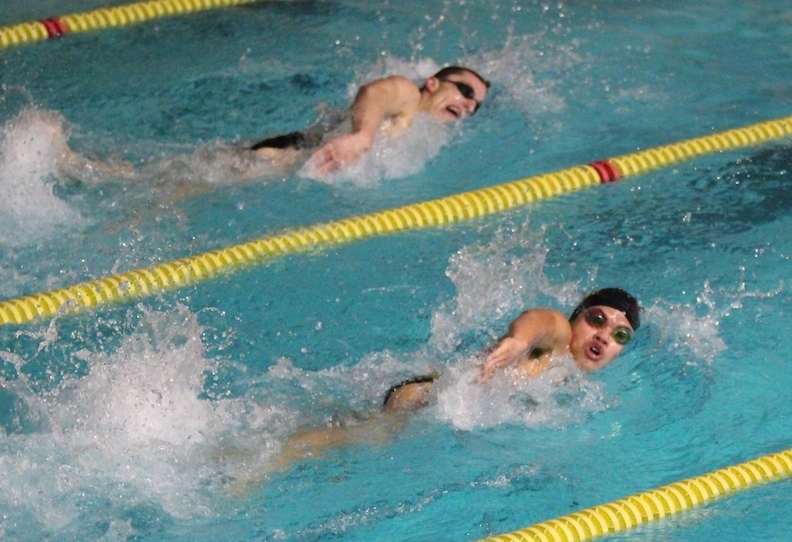 The Amity Boys Swim Team was on the road in Cheshire on Monday, Jan. 21. After a great start to the season, the Spartans experienced their first loss last week and then again, on Monday. Considering the number of events that Cheshire won, it’s amazing that Amity scored as high as it did. But then, they are a great group of athletes. 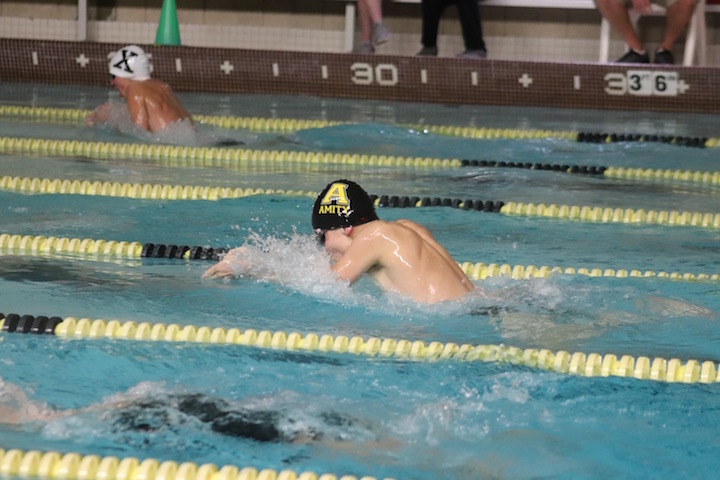 The Amity Spartans Boys Swim and Dive Team opened the 2017-18 season on Monday, Dec. 18, at the Foran High School pool in a meet against Jonathan Law. Both teams performed well, but Amity came out on top 88-76. Records: Amity 1-0, Law 0-1. 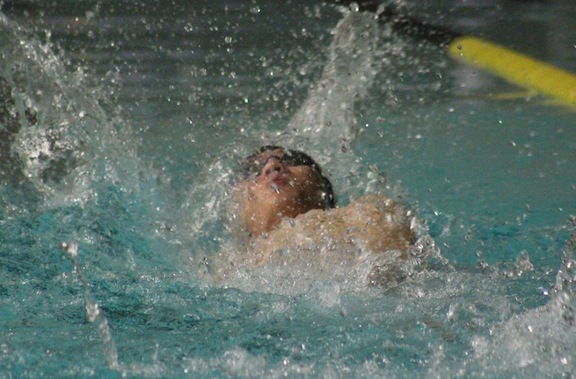 The Amity Boys Swimming and Diving Team was away at East Lyme on Dec. 28. The Spartans enjoyed a 100-78 victory over the Vikings. Zac Babbitz on his way to a win. 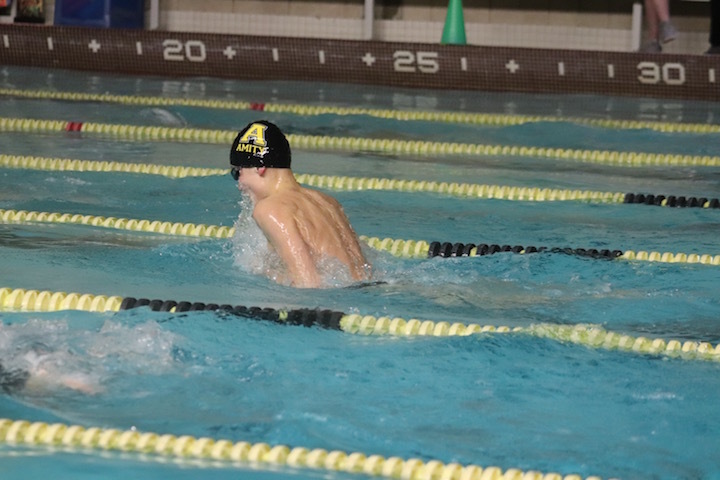 The Amity Boys Swim Team competed against Hamden at the Orange Town Pool on Tuesday, Jan. 13, and realized its first loss of the season. Both teams were strong and made a good showing, all of the boys gentlemen, shaking hands and swapping compliments as the numbers rolled up on the score board. In the end Hamden (4-1) came out on top defeating Amity (2-1) 94-86. The Amity “A” Relay team came out on top in the 200 Yard Medley Relay. Lyman’s Chris Grazioso was the top diver. 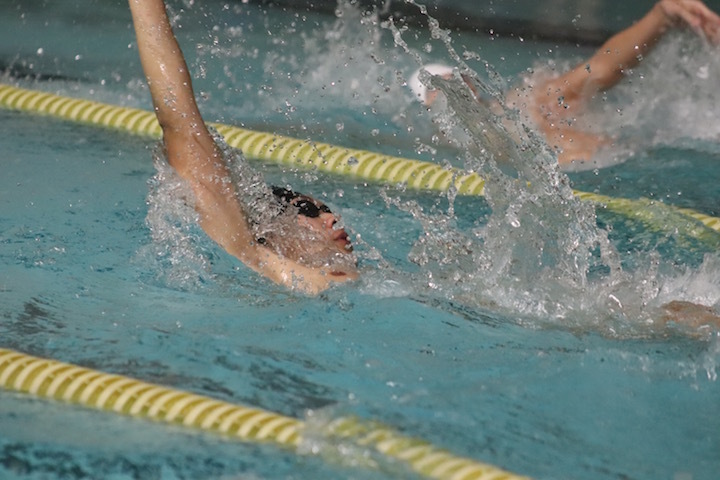 Amity opened up its boys swim season Thursday night by dunking Foran 92-76. The Southern Connecticut Conference meet was held at the Lions’ pool in Milford. The meet got underway with the Spartans’ 200-yard medley relay (Dylan Swanepoel, A.J. Pite, Charlie Pite, and Jacob Laser winning with a time of 1 minute, 44.36 seconds. Amity also claimed the next three events. Sam Guerra’s 1:54.98 was tops in the 200 freestyle. The same was true for Brian Liang (200 individual medley—2:08.34) and Charlie Pite (50 free—23.53). 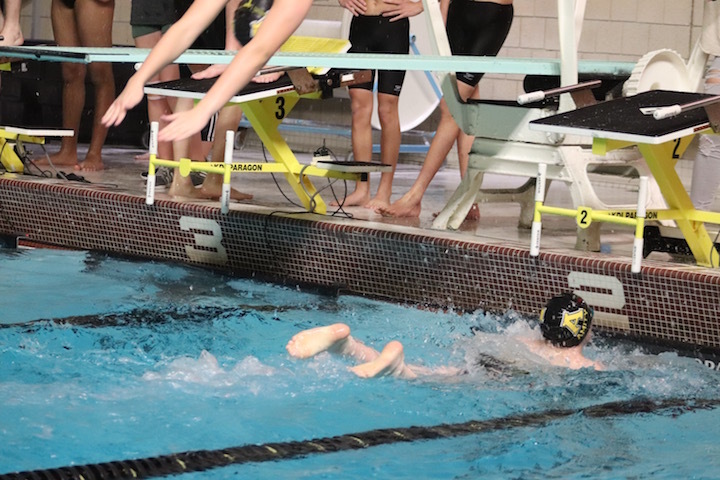 After Foran won the diving competition, the Spartans came back with victories in the 100 butterfly (Matt Cucurello—59.66), the 100 free (Swanepoel—50.26), and the 500 free (Laser—5:19.24). Amity also claimed the 200 free relay as Liang, Ben Bacal, Stephen Cheung, and Guerra combined for a 1:39.41. 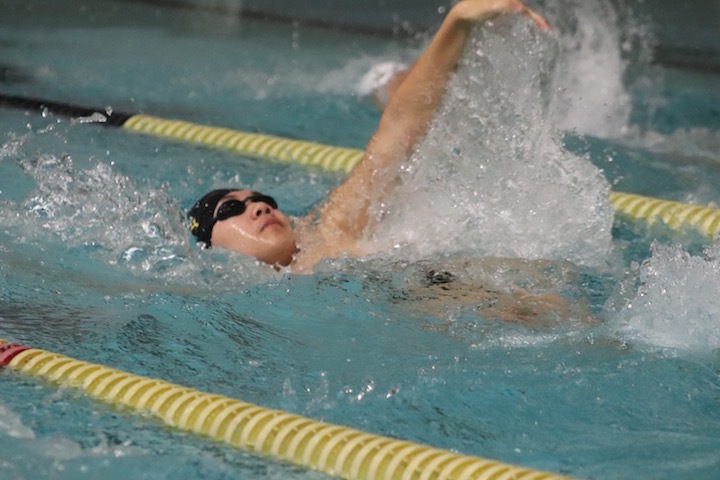 While the Lions won the 100 backstroke and the 400 free relay, Amity added William Wang’s first place 1:13.57 in the 100 breaststroke. 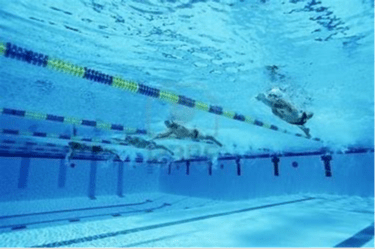 The 1-0 Spartans are back in the pool on Tuesday when they host Shelton in an SCC meet at the Orange Community Center pool, starting at 7:30 p.m.